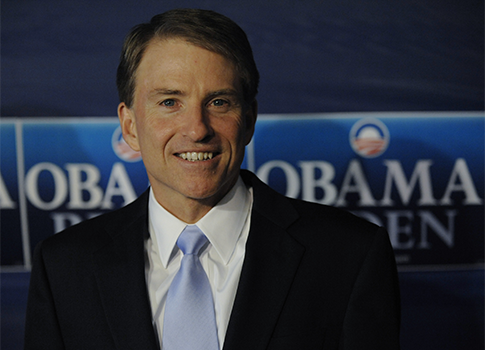 CHARLOTTE — Democratic National Convention (DNC) attendees on Wednesday will hear from two speakers who Republicans and conservatives say epitomize the cronyism and hypocrisy that have plagued the Obama administration over the past several years. 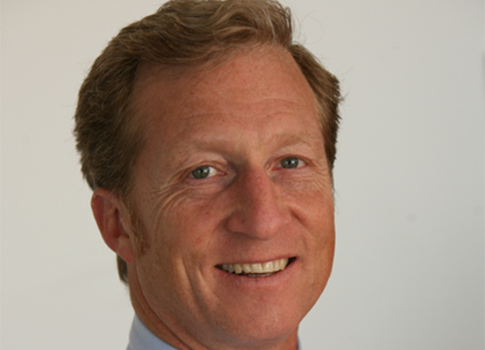 Tom Steyer, a billionaire investor who has raised at least $50,000 for Obama’s reelection campaign, will speak about energy policy as it relates to the president’s vision of "an economy built to last," which includes his plan to "double down" on taxpayer-backed green energy investments. 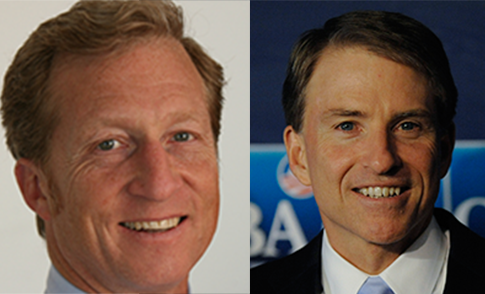 Such a doubling down would benefit Steyer, who is reportedly one of the backers of Greener Capital, which invests in alternative fuel companies that benefit from the anti-oil policies of the Obama administration. Steyer is also the founder and senior managing partner of Farallon Capital Management, a $20 billion hedge fund that ranks as one of the largest of its kind in the world. Farallon stands to profit from government policies that increase consumption of natural gas. Farallon owns nearly $14 million worth of shares of Westport Innovations, the self-described "global leader in natural gas engines." The Westport Carbon Project (WCP), according to its website, "was established to monetize the carbon emission reductions associated with the Westport HD engine, the Cummins Westport ISL G and other natural gas engines developed with our OEM partners. The WCP enables customers to earn annual carbon rebate cheques for the natural gas vehicles in their fleet as of January 1, 2010." Farallon also owns more than $8 million worth of shares of Fuel Systems Solutions, which according to its website "designs, manufactures and supplies proven, cost-effective alternative fuel components and systems for transportation and industrial applications. Its gaseous fuel technology for propane (LPG) and natural gas (CNG) generates savings, reduces emissions, and promotes energy independence." A successful investor, Steyer knows to hedge his bets. His fund owns millions of dollars worth of shares in Big Oil companies such as BP. Farallon also has substantial investments in foreign-owned companies, and operates a number of funds based in the Cayman Islands—a British dependency whose lax tax laws have become a favorite target of Democrats. Like most prominent Obama fundraisers, Steyer has enjoyed relatively easy access to the White House. He has met with senior White House officials in the West Wing on at least four occasions. Steyer, whose net worth was an estimated $1.3 billion as of 2011, was a Goldman Sachs protégé of Robert Rubin, who served as Treasury Secretary under President Clinton and helped orchestrate the controversial merger than created Citigroup in the late 1990s. Steyer has donated at least $1.4 million to the Center for American Progress (CAP) since 2009 through his TomKat Charitable Trust. As of 2010, he was listed as a director of the left-wing think tank. Steyer and CAP founder John Podesta were leading voices in the successful effort to block expansion of the Keystone oil pipeline, which Obama has repeatedly refused to authorize. They coauthored a Wall Street Journal op-ed in January 2012 arguing against the pipeline expansion and calling for increased federal investment in green energy. The California venture capitalist has raised at least $750,000 for President Obama since 2007, and has personally given more than $250,000 to Democratic campaigns and committees over that same period. A frequent guest at White House events and state dinners, Westly served as California co-chair and a National Finance Committee member of Obama’s 2008 campaign and currently sits on the Energy Advisory Board at the Department of Energy (DOE). The same federal department that Westly advises has awarded more than $500 million in taxpayer guaranteed loans to green energy companies partially owned by his investment firm, the Westly Group, one of the largest green energy venture capital firms in the country. The firm’s website has touted itself as being "uniquely positioned" to take advantage of the influx of federal funding for green technology, due to its ability to "navigate the halls of government." Westly has openly admitted that knowledge of federal policy is key to investing in green technology. In response to a reporter’s question about which green energy companies he prefers to invest in, Westly said: "Who cares what I think. Let’s talk about ‘What does Obama like? Here’s what he likes,’ because here’s where the federal government is putting money. And let me tell you, whatever he likes, that’s what I like." A spokesperson for Common Cause, a liberal watchdog organization, said Westly’s relationship with the Obama administration "looks like kind of the classic Washington hands washing each other." Westly’s situation is hardly unique. More than 70 percent of DOE grants and loans under Obama went to companies backed by Democratic donors and bundlers, Peter Schweizer reported in Throw Them All Out. One company Westly invested in, Amonix Inc., recently laid off nearly two-thirds of its workforce despite receiving more than $20 million in federal tax credits and grants. Obama had publicly lauded the solar panel manufacturer and the "extraordinary impact" of federal support for green energy companies. The DOE loans program was so wrought with cronyism, failures like Amonix, and massive failures like Solyndra that even the left-leaning Washington Post editorial board described it as a "real scandal." "You can call it crony capitalism or venture socialism—but by whatever name, the Energy Department’s loan guarantee program privatizes profits and socializes losses," the paper wrote in November 2011. It is certainly one of the most striking examples of Obama’s failure to unchain Washington from the influence of special interests groups, as he boldly pledged to do as a candidate in 2008. In addition to raising money for the president Westly runs a multi-million dollar charity organization with his wife, Anita. The Westly Foundation describes its mission as "to provide support in the areas of education, youth, health care, immigration and global security," although records reveal considerable donations to left-wing organizations such as the Tides Foundation, Planned Parenthood, and the Clinton Foundation, as well as to questionable organizations and causes such as "Fantasy Service Agency" and "Celebrity Fight Night." This entry was posted in Politics and tagged Barack Obama, Bill Clinton, Center for American Progress, Cronyism, Democratic Donors, Department of Energy, DNC, Financial Industry, Green Energy, John Podesta, Keystone, Obama Administration, Obama Campaign, Oil, Progressive Movement, Tom Steyer. Bookmark the permalink.